I’m currently in a bit of a rut. Truth be told, it’s total chaos in my world. I thought things would slow down once I entered taper mode for the Lansing Marathon but apparently that was just the gateway to TOTAL & ABSOLUTE chaos. I had to slow down the running for taper mode, then I ran the marathon, then immediately got sick before I was even able to recover. So while I was trying to facilitate marathon recovery and fight off the respiratory crud of the century, I was also attempting to manage Aby’s track the family schedule, plus working/commuting/traveling to track meets, attempting to keep the house from being condemned, all while tossing in just enough laundry to keep Michael from going to school “nakie”. I’m on week 6 of not much running and way too much chaos. Not sure how you mom’s do it who have a lot of kids in a lot of different activities. I’m barely managing with a 3 year old maniac and an 11 year old “Sporty Spice”. With all the chaos going on in my life, it’s certainly easy to sympathize with the struggles that women go thru on a daily basis training for a half marathon. Maybe you’ve trained for a half before, maybe you haven’t. Maybe you need some assistance to prepare for Zooma Chicago on August 10th, maybe you don’t. Maybe you like free stuff, maybe you don’t. If you need or even would like some assistance in preparing for this amazing race, then take a minute to check this out …… Zooma is offering a Half Marathon Challenge and there are currently only 8 ladies who have applied for the 5 spots. What is the Half Marathon Challenge all about? It provides you with coaching, support, a 12 week training program, a FREE entry to the Zooma Half Marathon in Chicago, a training shirt, and free Muscle Milk Light for recovering. What does the Half Marathon Challenge require from you? It requires that you are able/willing to train for the half in Chicago, that you are willing/able to talk with and be interviewed by both Zooma Chicago Ambassadors (ME, ME, ME!!!) & Zooma Nation staff, that you check-in weekly with your mentors and Zooma staff and that you attend 4 events between May and August. Not too crazy, huh? 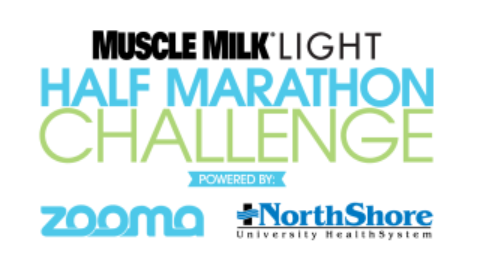 ONE lucky winner will get all of the Half Challenge perks above PLUS be selected as the Muscle Milk Light Athlete to receive additional free gear, hotel accommodations on race weekend at the luxurious host hotel, The Langham Chicago, plus get a free spa treatment on race weekend! 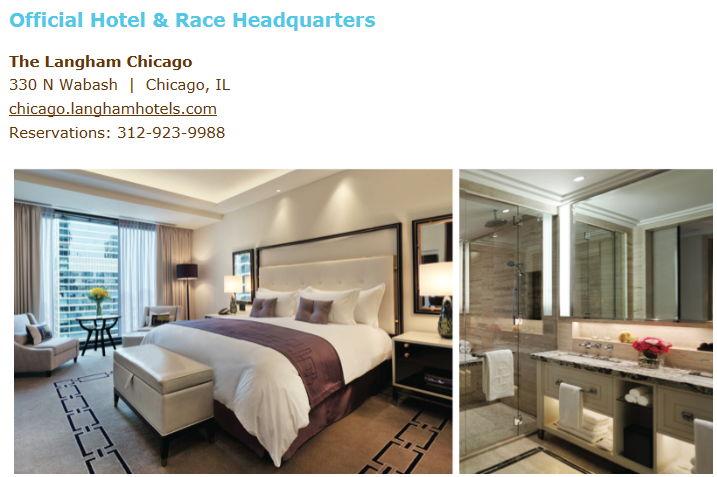 Let me just add that I’ve already booked my room at The Langham Chicago and if you can get a room for free, let’s just say that you “might” want to jump on that because luxurious hotels in the CHI don’t come cheap. So we currently have 8 applicants for the 5 spots Zooma is looking to fill (4 Half Marathon Challengers, 1 Muscle Milk Light Athlete). This is an amazing package and if I weren’t already an ambassador, I would apply myself but they won’t let me I can’t. So I recommend you apply so you can win free entry to the race, free training and possibly even a free hotel package! Don’t wait, the application deadline is May 10th & winners will be announced on the 15th (next Wednesday). Full Name, address, phone number, blog/website if applicable, and a paragraph detailing your current running status, your running history (including any PR’s, etc), your running history and why you think you should be selected for this program. Good luck, ladies! This is going to be a great race with a great goodie bag and a great atmosphere for an entire weekend of fun. The only thing that could possibly be better would be to get it all for free, so apply for the Half Challenge!! I am a race ambassador for ZOOMA Annapolis and let me just tell you that the Challenge participants are AWESOME! It is such an honor to work with these ladies as they tackle their first 13.1 race. If even an inch of you wants to apply, JUST DO IT! You will be challenged, meet new friends, and even find that you enjoy running. Good luck Chicago! Would totally apply if I lived in the Chicago area, what a fabulous concept! Aw, I really wish that my sister-in-law wasn’t getting married that weekend so I could run that race. It sounds like it’s going to be a lot of fun. I’m sorry your life has been so chaotic lately. I hope it calms down soon!